A second installment of our ongoing series, asking an artist how he or she decides to call. This time I asked Heather Garland, a painter living and working in Brooklyn, NY to talk about her work. 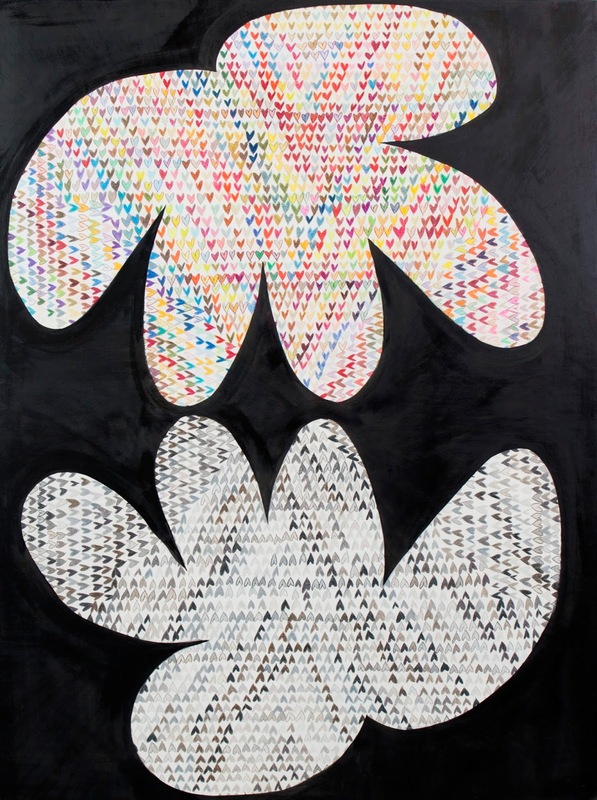 Some of Garland’s works are open-ended, taking months or years to resolve and others involve distinct layers that she refers to here as “fairly step by step”. She has different modes of finishing and different perspectives. Here she also talks a little about the afterward of a painting. At the point when the painting itself seems finished, she feels some time needs to be given to understanding it, and thinking about what to do next. Visit her website to see more of her paintings and views of a recent installation, “The Wanderers”. The second installment of “On Finishing” will be posted next week. In the meantime, I wonder, are you listening to the Hidden Brain podcast from NPR’s Shankar Vedantam? There’s an episode from last month, “Near Wins and Not Quites: How Almost Winning Can Be Motivating” that might be interesting to think about to as you read the artists’ responses in this series. I can’t vouch for the interview with the country singer at the end…skipped it…but the rest of the podcast is good! 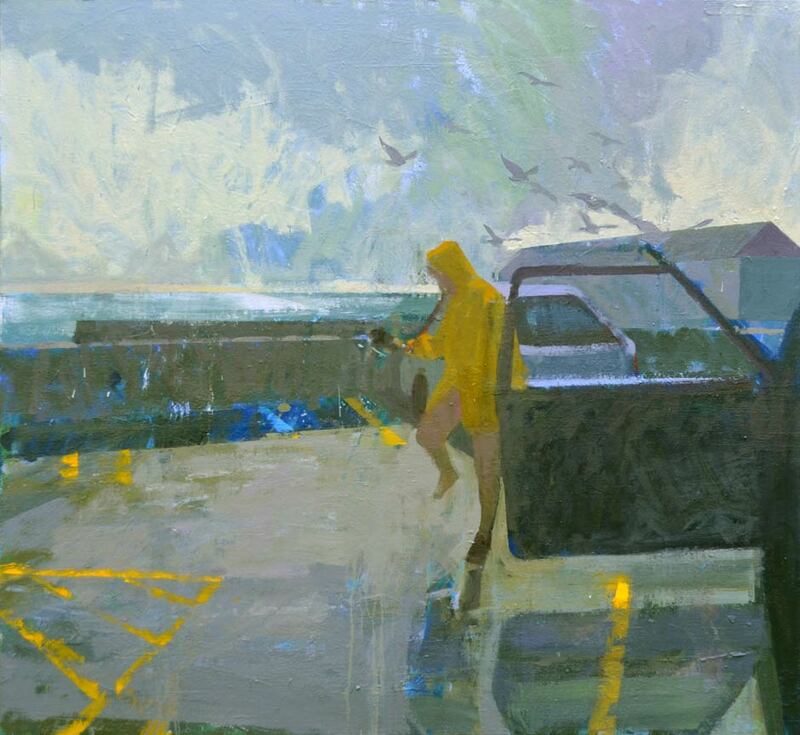 Tim Tozer’s exhibit The Visit is on view at Groveland Gallery in Minneapolis until October 17, 2015. I grew up in Portsmouth, a city on the South coast of England. I did my undergraduate degree in Belfast, and my graduate degree at the New York Academy of Art. I’ve lived in the US ever since, although I’m still a British citizen. Currently, I live in Minneapolis and teach at the Univeristy of Wiscosin-Stout. 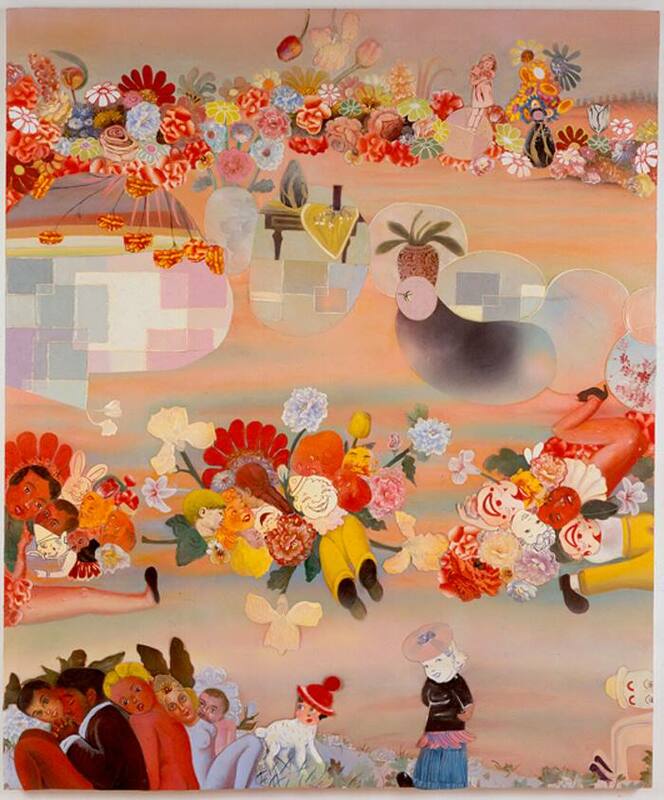 One is Phyllis Bramson’s 30 year retrospective, In Praise of Folly, opens at the Rockford Museum of Art. That’s her painting “What Went Wrong” from 2004 (oil on canvas, 70″ x 50″). Bramson’s retrospective opens today and is on view until January 2016. The other is Robert Barnes: Grand Allusions at the Indiana University Museum of Art. Grand Allusions opened last month and is on view until December 2015. Barnes’s “Self Portrait with Vanitas” from 2002 is pictured below. LATE ADDITION: I really should have thrown a link to a current exhibit of work by Judith Linhares into this post. Flora and Fauna is the title of the current exhibit of her work at Sam And Adele Golden Gallery in New Berlin, NY, on view until December 11. 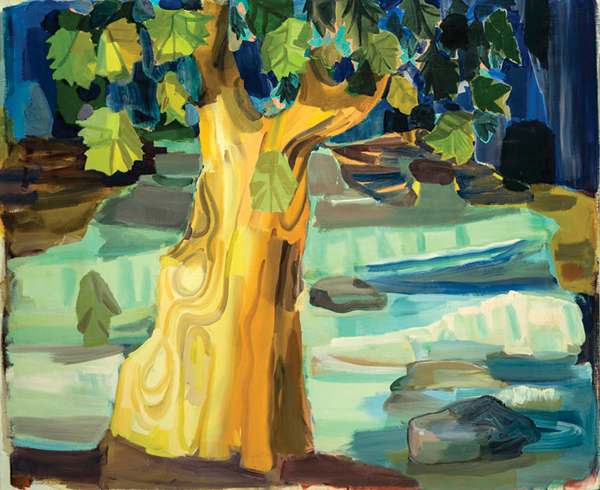 Here’s her painting “Tree”, 42″ X 51″, oil on canvas, 1996. Anyone who’s ever been responsible for making anything more ambitious and personal than an out-of-the-box Ikea bookshelf probably agrees, and probably has doubts about how absolute that “whole” really is. When it comes to painting, the canon is full of folks who had a hard time calling works really, truly finished–from Michelangelo and Leonardo (“Tell me if anything was ever done.”), to Ingres and Degas (who famously asked a collector to return a particular painting, “Dancers at the Barre” 1877, so the dissatisfied artist could rework it; the collector refused). And artists today deal with the same uncertainties. That scariness of calling something finished can be a driving force, or it can drive a person crazy. An artist has to learn to let his or work go out into the world–contingent as the idea that it is really and truly finished may be–or else devise elaborate strategies to avoid the whole question. I decided it would be elucidating to ask some artists–painters mostly–about their personal experiences finishing artworks. I sent a few questions to the artists who responded via email. The first response came from Anne Harris who re-states the question with more clarity and makes a strong case for the idea that an artist just keeps working until it feels right, risky as that might be. Harris currently lives and works in Chicago. 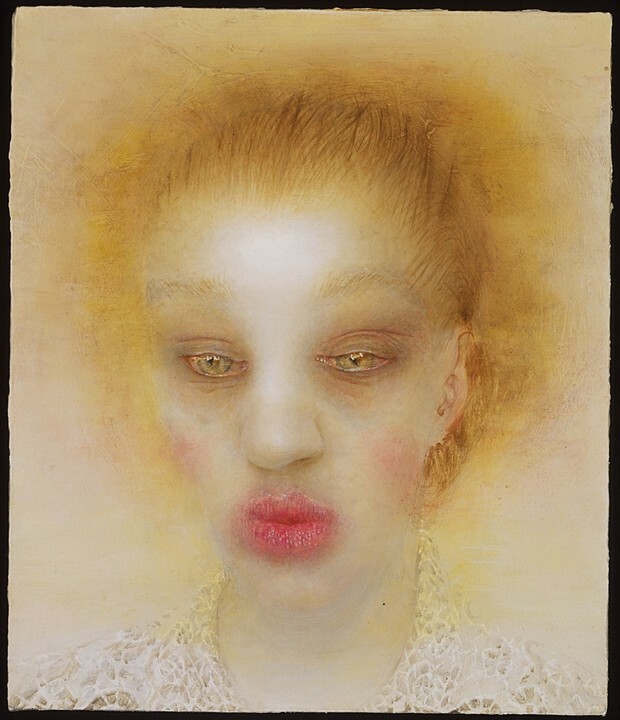 Her most recent gallery show was Phantasmatical: Self Portraits in 2013 at Alexandre Gallery in New York. A collaborative/curatorial project, titled The Mind’s I, was presented in Chicago in 2012, will be re-staged at Memphis College of Art this fall, and is, I believe, looking for other venues. See her website for more of her work. No idea! You tell me. Using your sports metaphor: if you strike out that final batter, or make that winning basket (home run, goal, etc. ), you’re a good closer. Everyone sees it and agrees. You see it too. But in painting there’s no winning shot. There isn’t even an agreed upon game. Each painting is a brand new playing field with its own rules, laws, its own mysterious conclusion. You’re inventing and discovering the game as you play it. How do you close? Who knows? Depends on the piece. A few seem to paint themselves. Others are a real struggle. I have paintings I spend years on, working them off and on, thinking they’re dead, then seeing hope again. Sometimes they come together. Some I’m never satisfied with. Some I throw away. I should probably do that more often. When you call it done are you smiling? Sometimes, if I think I’ve really pulled something off, I get excited. I have all kinds of fantasies about my greatness. Often, the next morning, I realize it’s awful. Every now and then, I make a painting that I’m certain is good, and it stays good, each time I see it. Is your relationship to finishing troubling to you at all? I have problems with the word “finish.” It implies that there’s a foregone conclusion—something polished off. I prefer the word “resolved” or just “done.” For me a painting’s done when it exists as a living fact, like the nose on my face. This is it—my nose. Whether or not I like it, my face is done. Change my nose and I am undone. Basically, every part of the painting has to be essential, to contribute to the meaning and experience of the painting. Anything added or subtracted lessens the painting. How do you see yourself compared to your peers, in terms of how easily you call an artwork finished? I take a lot longer to finish paintings than most people I know. It’s really impractical. How much does the idea of calling things finished affect the type of painting you make or how you define yourself as a painter? I am romantic about painting. I believe painting can be felt, can hold emotion and contain presence, can function as a transformative experience. The length of time I spend is part of that. And the fact that the ending of a painting is unknown to me until I’m there—well, there’s no hiding it—I believe in that mystery. Painting is magic. My husband teases me, saying, if I were a better painter I’d finish faster. I actually think he’s right. My slowness compensates for a lack of true facility. That is, I can quickly arrive at something that looks slick and detailed, that is superficially facile, but it takes me a long time to get to a place that resonates. I get there awkwardly.